They share a heritage, they share a team, and two of them share a line. But Everett Silvertips forwards Jujhar Khaira, Manraj Hayer and Tyler Sandhu have something else in common: undeniable talent. The three Vancouver-area players are among the top seven in scoring on their Western Hockey League major junior team. Their scoring numbers jump off the stat sheets, but the trio also opens eyes because they are among a small but steadily growing number of Indian players who are helping change the color of hockey. Carolina Hurricanes center Manny Malhotra is currently the only Indo-Canadian player in the National Hockey League. But a next generation of players could be on the way in the near future, fueled by an interest in hockey that’s grown so large within Canada’s South Asia community that CBC’s “Hockey Night in Canada” airs broadcasts in Punjabi. HNIC Punjabi’s crew. Left to right: Analyst Bhola Singh Chauhan, analyst Inderpreet Cumo and play-by-play man Harnarayan Singh. Hockey is even slowly gaining a foothold in cricket-crazed India. A member of the International Ice Hockey Federation since 1989, the country of more than 1.2 billion people has more than 900 hockey players. In March 2012, India captured its first international ice hockey victory, a 5-1 over Macau at the IIHF’s Challenge Cup of Asia tournament. Hayer, 20, began playing hockey as a child because his older brother did. But Hayer never played with another Indian player in a game until Silvertips Head Coach and former NHL bench boss Kevin Constantine put him on a line with Sandhu in Everett two seasons ago. Hayer, Sandhu and Khaira were brought together in Everett, a city of 104,000 about 30 miles north of Seattle, by coincidence. 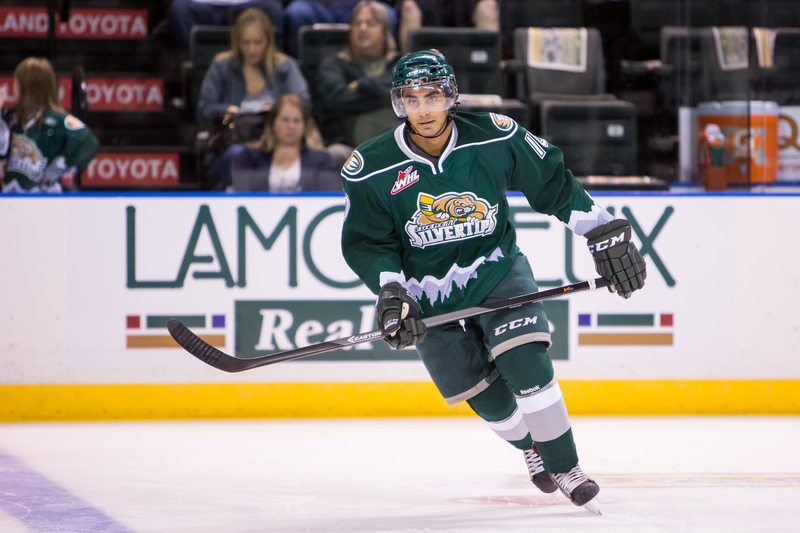 Sandhu was among four prospects the Silvertips obtained in a May 2012 trade with the WHL’s Portland Winterhawks in exchange for the rights to defenseman Seth Jones. Jones, a Nashville Predators rookie this season, was the fourth overall pick in the 2013 NHL Draft. Jujhar Kharia, a 2012 Edmonton Oilers 3rd-round pick (Photo/Christopher Mast/Everett Silvertips). 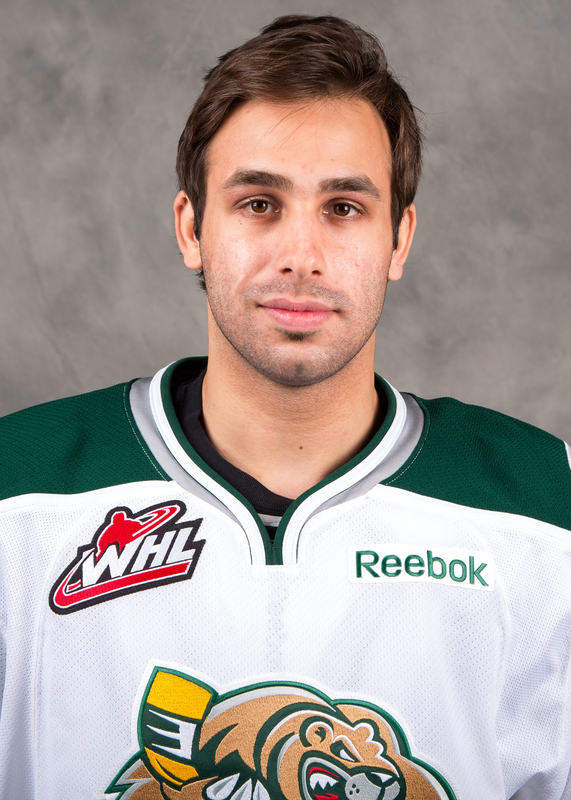 Hayer was scouted and signed by the Silvertips in the 2010-11 season. The three have never played on a line together during a WHL game, but have during practices. Would they like to join the ranks of the 1970s Buffalo Sabres all-French-Canadian “French Connection” led by Gilbert Perreault ,” the Boston Bruins’ German-Canadian “Kraut Line” of the 1940s that featured Milt Schmidt, or the famed “Black Aces,” an all-black minor league line in the 1940s headlined by Herb Carnegie?